I tried to make the most of the clear skies on Tuesday, but this was the best I could manage. 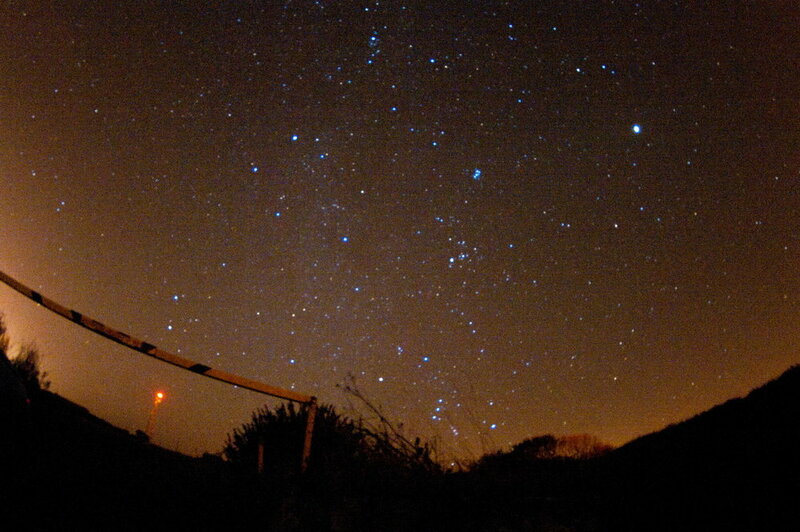 I must sort out a light pollution filter! I believe the brightest spot in the top right is Jupiter, Orion can just be seen standing on the horizon. The red light is on a radar mast. Not a bad result but light pollution can ba a real nuisance! Even with my K5 I don't shoot at 6400, 3200 has a little too much noise on dark starry night shots but is quite useable on nights with moonlight or aurora. 800, 1600 with absolute maximum 3200, better pushing levels in photoshop rather than shooting high ISO in the field for smoother results.